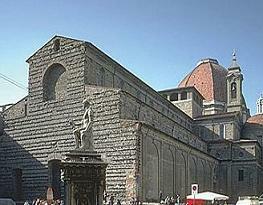 Truth and legends on Santissima Annunziata . It was here that the Marian New Year was celebrated on March 25, and the pilgrims adored the Madonna "with the face painted by the angels". 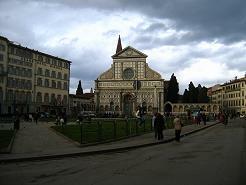 But in this splendid space, born of the genius of Brunelleschi and Alberti, also known ghost stories are intertwined. At the window of Palazzo Gattai there would be the spirit of a young girl, aged waiting for her beloved husband. 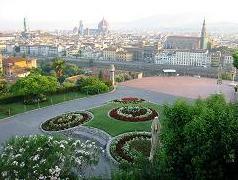 The New Year's Eve, until 1750, was celebrated every March 25 in Piazza Santissima Annunziata. 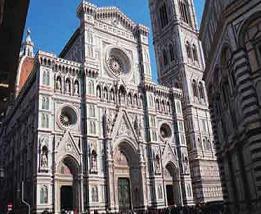 A tradition that in Florence, which has always been linked to the Marian cult, has continued for over two centuries even though in 1528 the Gregorian calendar had set the beginning of the year to the first of January. On the day of the Annunciation, the square was decorated with a colorful market. Among yarns and cloths, dried mushrooms and cheese, drinks and delicacies of all kinds, crowds of pilgrims bought flowers, candles and statuettes ex voto for the miraculous Virgin. The thirteenth-century Madonna frescoed in the basilica is still worshiped by the faithful because it is thought that its celestial face was painted by angels. 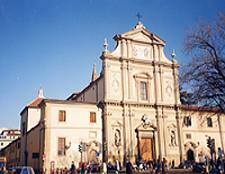 In Santissima Annunziata the Rificolona festival of September 7th, the day of the birth of Our Lady, also originates. The merchants of the fair left the country the day before, loaded with merchandise. They risked their way with the typical lanterns hanging on top of the reeds. Once in the square they bivouacked all night under the arcades in the flickering multicolored light singing laudi at the Rergine. 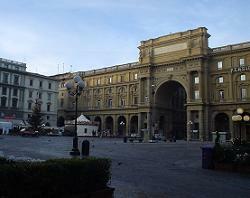 The square is famous for the harmony of its forms. 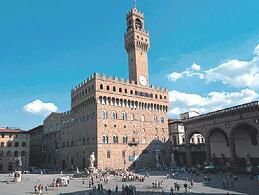 A Renaissance jewel, the result of the inspiration of Brunelleschi and Alberti, Michelozzo and Baccio d'Agnolo. An elegant open-air living room with slender porticoes. Its symmetries. 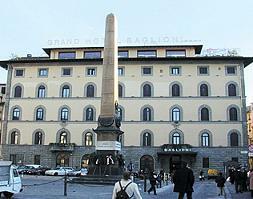 It overlooks Palazzo Budini Gattai, formerly Palazzo Grifoni. 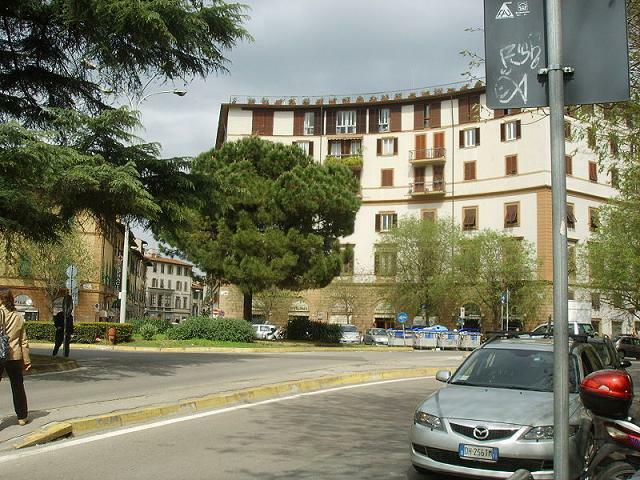 It is the orange building that, with the church behind it, is on the right of via dei Servi. The patrician palace was commissioned in the sixteenth century by the secretary of Cosimo I, Jacopo Grifoni, known as Altopascio. Please notice, the last window on the right of the second floor has the shutter always ajar. We live in the ghost of a young girl aged at the window. The spirit of a bride in love remained waiting for the return of the young and beloved husband, who went to war shortly after the wedding. The poor girl would have spent her life at the window, embroidering with one eye always facing the square, which had become her only distraction. After his death, he tried to close the window, unleashing a real revolution in the room, with books flying, furniture that was wobbling and paintings falling. From there the crack always half closed. 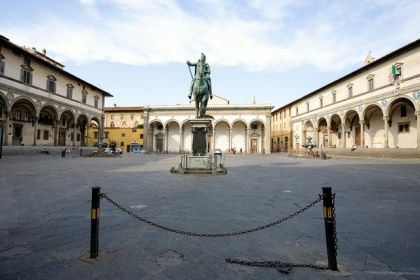 In Piazza Santissima Annunziata in Florence there are two twin bronze fountains depicting mythical sea creatures. Pietro Tacca expressed his inspiration in a capricious and exquisite baroque style. 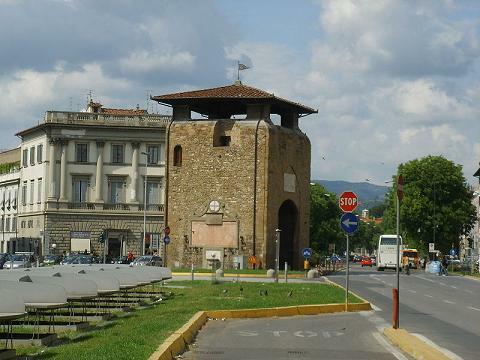 The works had to be a gift from Florence to the city of Livorno, but it is said that once the quality of the works realized was ascertained, the Florentines decided to keep them. 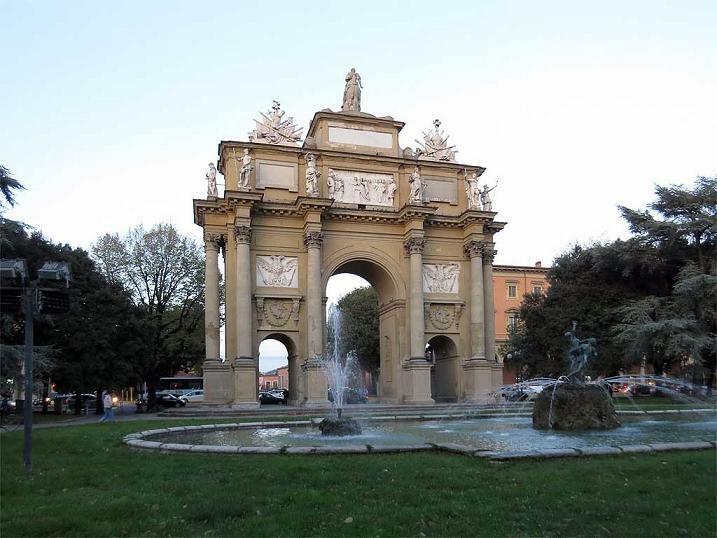 At the center of the square stands the equestrian monument of Ferdinando I di Lorena del Giambologna. The motto is on the base of the sculpture, "Majestate tantum". At the center of the queen bee would be the Grand Duke, surrounded by a myriad of bees all addressed to him, which would represent the hard-working people. Now, since the bees are arranged in concentric and offset circles, it is rather complicated to count them without becoming confused. From there the legend that the bees could not be counted at one time. For the record, the bees are 91.